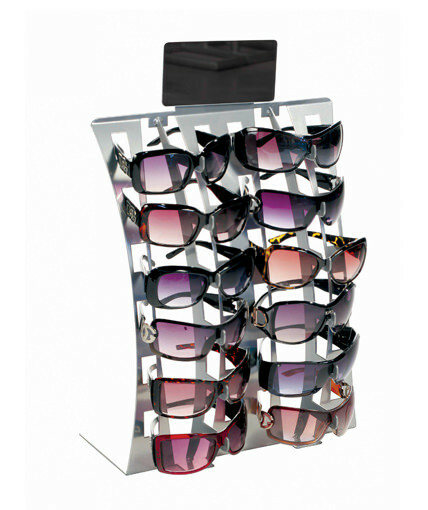 One of our time-tested table top display for sunglasses, our SU-6X combines fashion and durability with its unique sheet metal design. 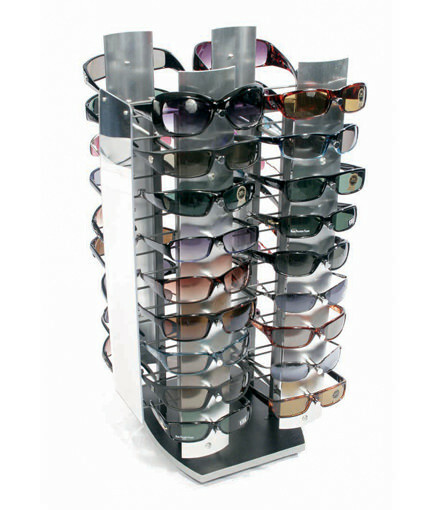 Simple but elegant, the SU-6X holds 6 pairs of sunglasses and is the smallest sunglass display in our line of counter sunglass racks. 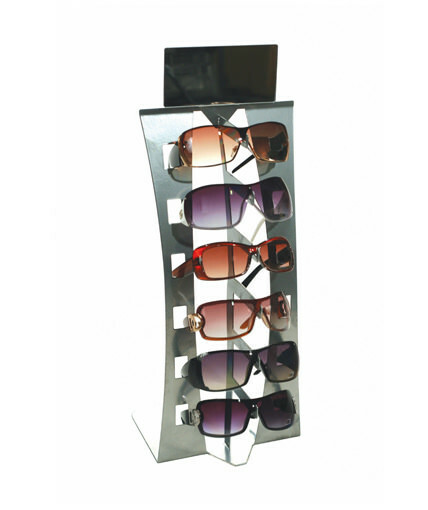 The display includes an acrylic mirror, and it features a shiny silver powder coated finish which makes it pop in any retail environment. The SU-6X boasts a compact 10″x8″ footprint, making it a logical choice for almost any retail store with tight countertop space. 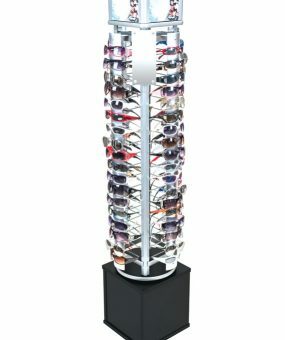 It commands a presence as a stand-alone sunglass display fixture but is also small enough to fit inside a sunglass display case. 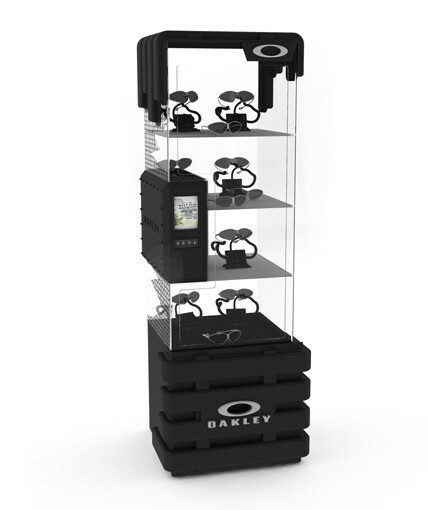 We designed this unit to nest so four SU-6X tabletop sunglass displays fit in a box that is almost the same size as a box that fits 1 unit, thereby reducing per-unit shipping costs. Built to last and virtually indestructible, the SU-6X is one of the most durable eyewear displays on the market. 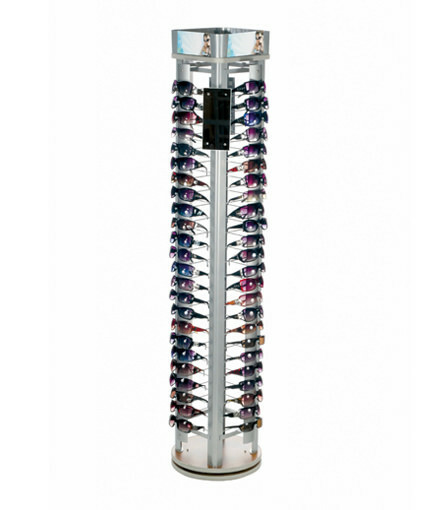 In addition to helping you sell more sunglasses, the timeless design and durability of the SU-6X will enable you to amortize your display investment over a longer period of time which, in turn, will increase your return on investment. At the same time, the SU-6X will help you gain placement in more retail settings since its classic design fits so many different retail environments. 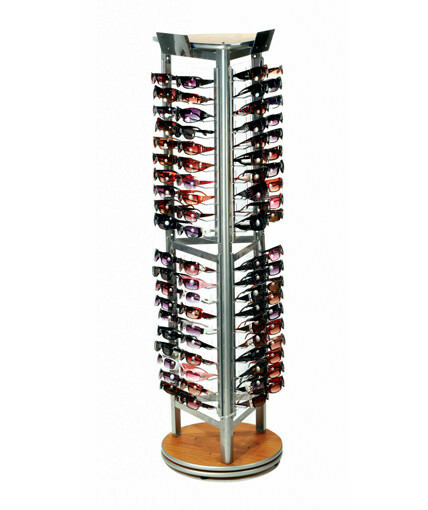 Whether you are merchandising fashion eyewear or cheap sunglasses, the SU-6X is an excellent choice to drive incremental sales.